In what has become an annual tradition, 92-year-old film legend Christopher Lee—a.k.a. Saruman, a.k.a. Count Dooku, a.k.a. Count Dracula—has released the third in a series of heavy metal Christmas anthems. Called “Darkest Carols, Faithful Sing,” the song is based on “Hark! The Herald Angels Sing” and features Lee’s melodious baritone intoning, “Darkest carols / Faithful sing / Glory to the metal kings!” over chugging guitars and some pretty righteous shredding.“I do not know how long I am going to be around, so every day is a celebration and I want to share it with my fans,” Lee tells TIME. The song was announced by means of a YouTube video medley also featuring samples from Lee’s other heavy metal Christmas singles, 2012’s “The Little Drummer Boy”/ “Silent Night” and 2013’s Jingle Hell”/“My Way,” which reached number 18 on the Billboard rock charts last year. 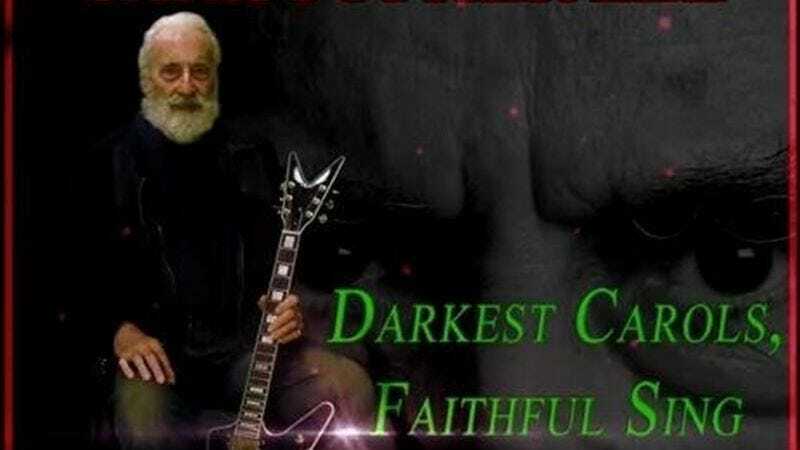 “Darkest Carols, Faithful Sing” is available on iTunes; it also comes in an “extended vocals” version with backup singers and an instrumental version, but why would anybody want that?